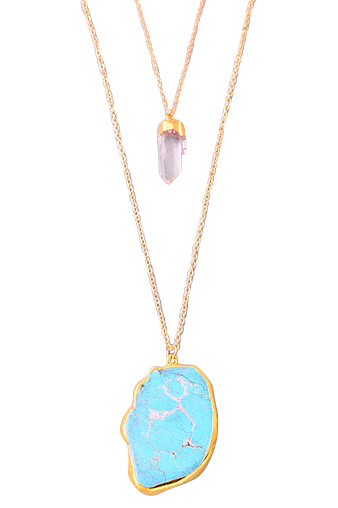 Similar style turquoise natural stone layered necklace set. Includes 2 separate necklaces. This item ships FREE in the US!